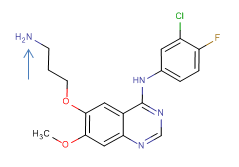 The Tool Compound Library (TCL) is an existing collection of modified small molecules with known targets with a proper size and shape linker (the modified molecule retains the mother compound’s activity against the target), for specific approaches. 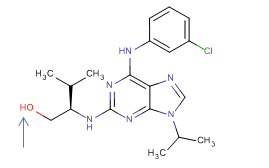 Vichem has an existing collection of more than 300 kinase inhibitors equipped with primary amine-, carboxyl-, acetylene- or azide- function ending linkers. targeted delivery (bound to different types of carriers, synthetic polymers, peptides, proteins etc.). Examples for published affinitiy chromatograpy applications of TCL compounds for target identification are in the table.